Washi tape originated in Japan and is typically made from natural fibers, such as bark from trees native to Japan. Washi tape is normally strong, which makes it very functional, but can also be very pretty. 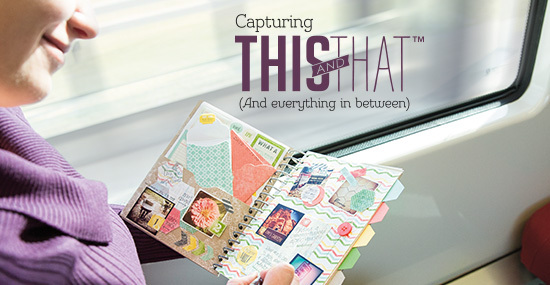 If you scrapbook, you already know about and/or have used washi tape. It's perfect for making your albums and holding you memorabilia. Most washi tapes are semi transparent, so you can write on it with a permanent marker. The washi tape industry has exploded the last couple years. It has become an obsession for many paper crafters since it's so easy to use. It's great on cards, seal envelopes, packaging, flag banners, pinwheels, use in place of patterned paper, easier to pleat than ribbon or paper and so much more! And now Epic Day This and That Designer Washi Tape has arrived at Stampin' Up! Enter Stampin' Up! This and That trip giveaway for a chance to win a trip for two to sunny San Diego! Hi, Beth. Love this idea for even more washi tape options with our DSP. Did your DIY tape stick after it dried or did you need to use SNAIL to adhere it to your card? Thank you! I used a little SNAIL on the back to hold it in place, because it's not very sticky. Thanks for stopping by! Hi Beth! I LOVE that you showed how to make your own washi tape! I am addicted to it, but haven't used it since it wasn't a SU product! Now SU will have LOTS of washi tape due to this technique! Thanks for sharing! Great video and great idea! Thanks for sharing.